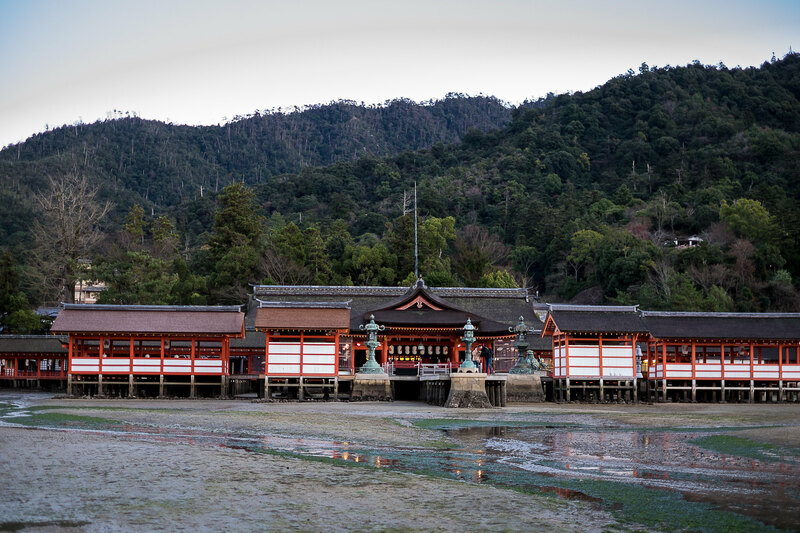 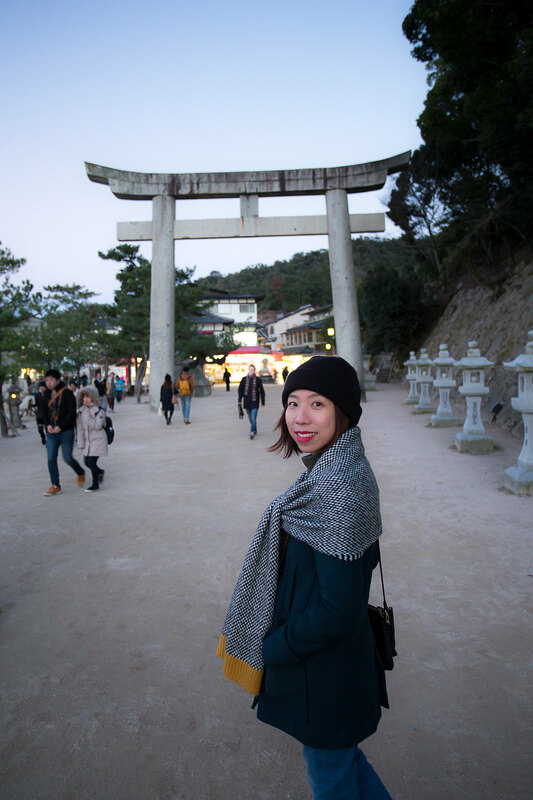 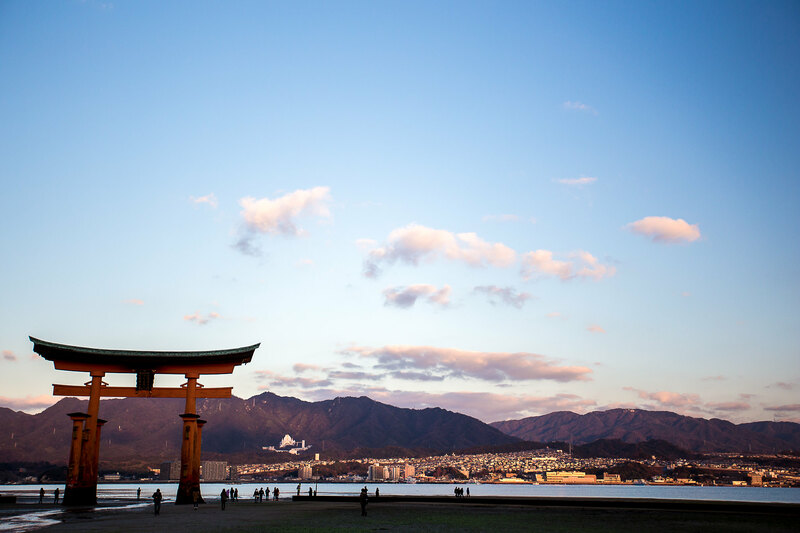 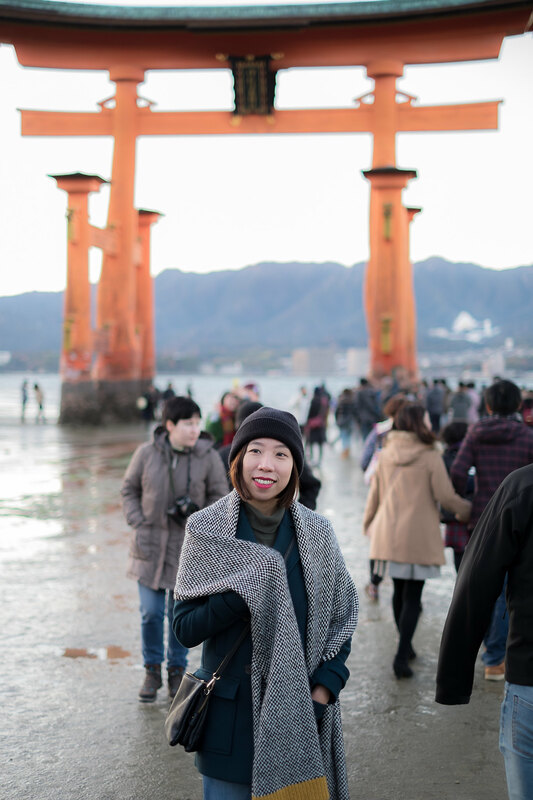 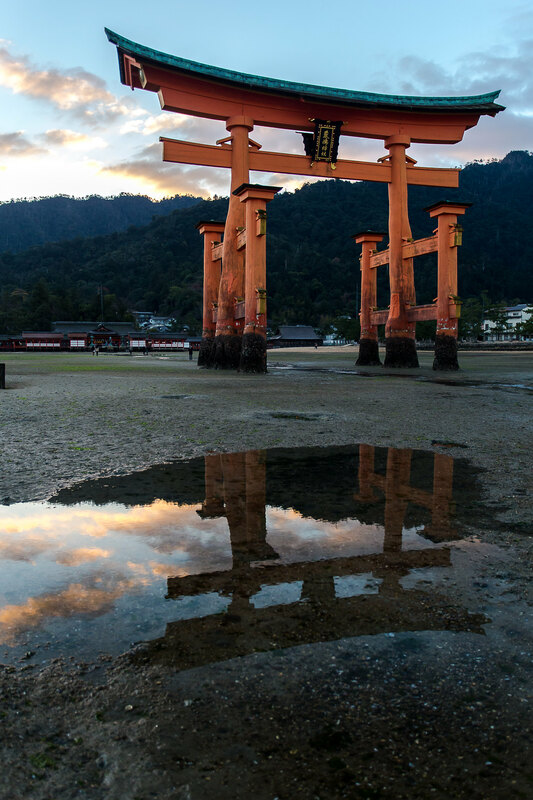 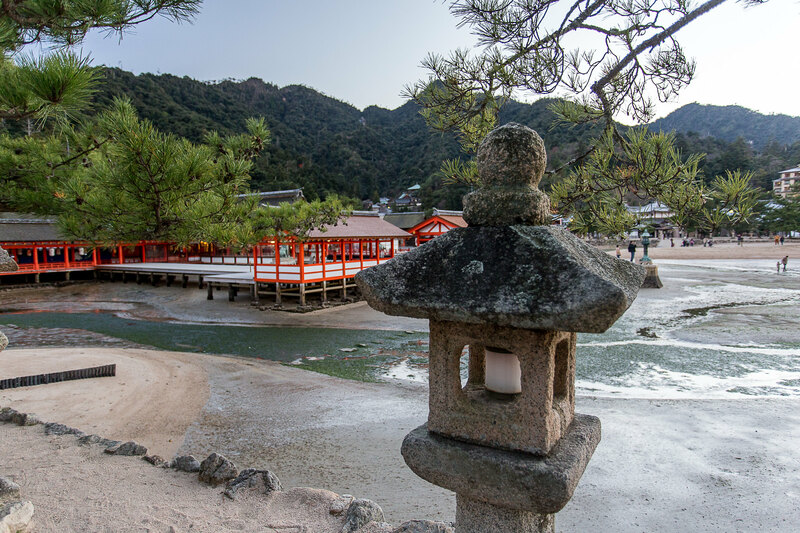 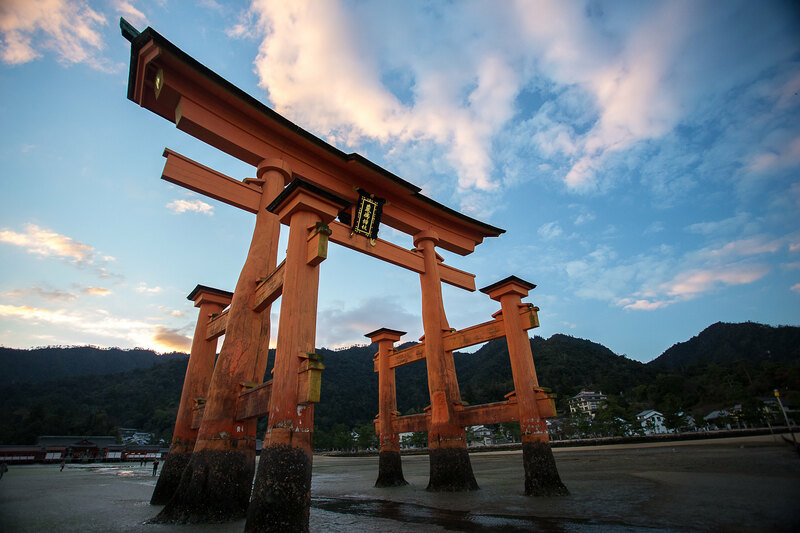 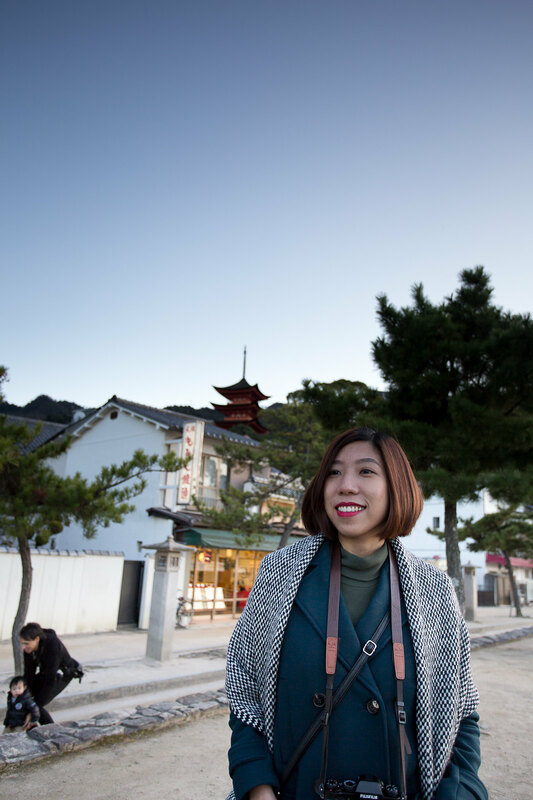 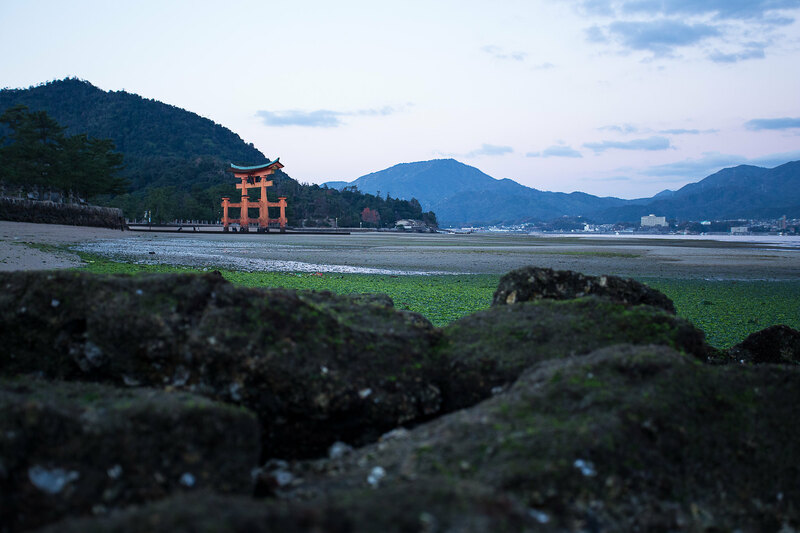 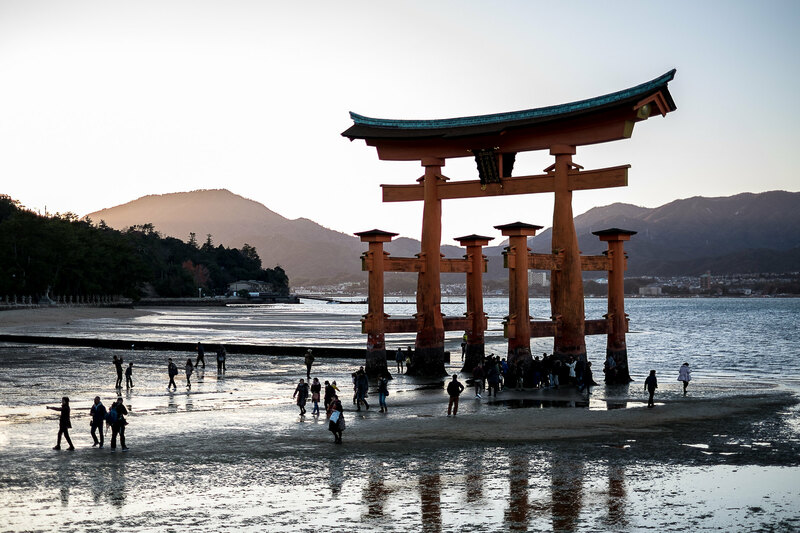 The giant torii (the red gate) at Miyajima island is world-famous, and has been the island's main attraction, but we found that the island offers so much more than just the giant torii. 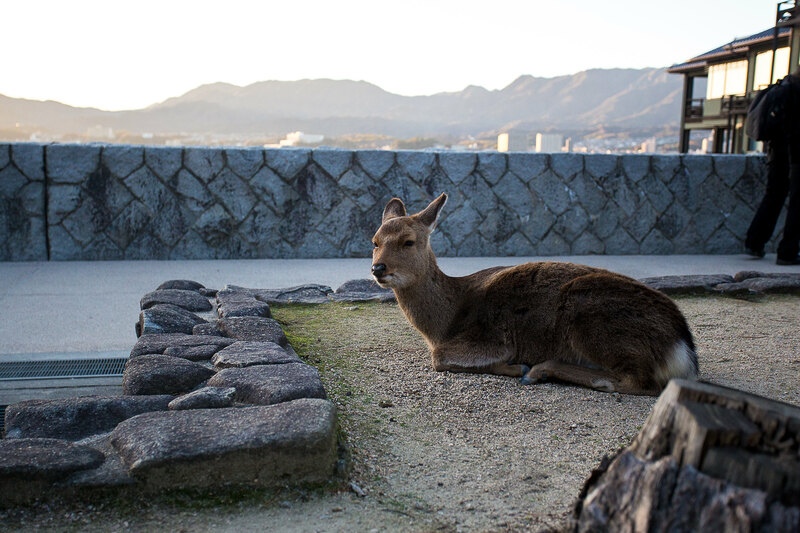 When we landed, we were pleasantly surprised by the welcoming committee, the deers of the island. 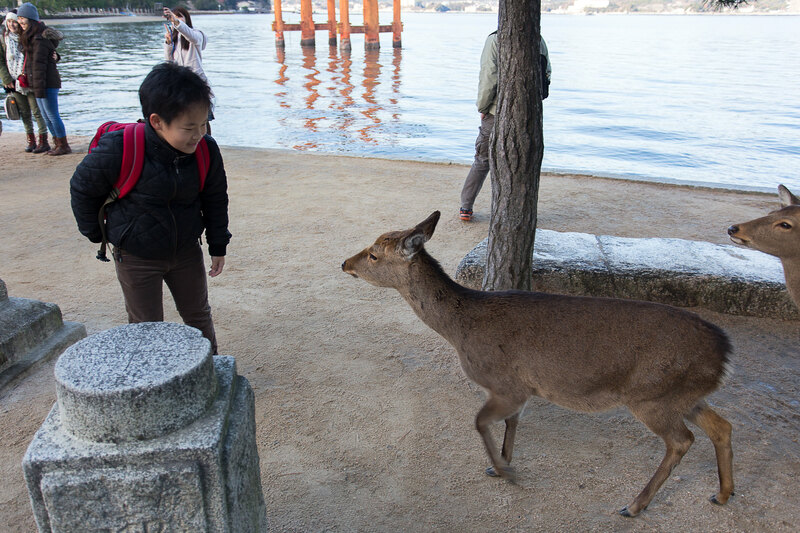 They are curious and will try to nibble at everything, including your paper map, so keep them stashed away. 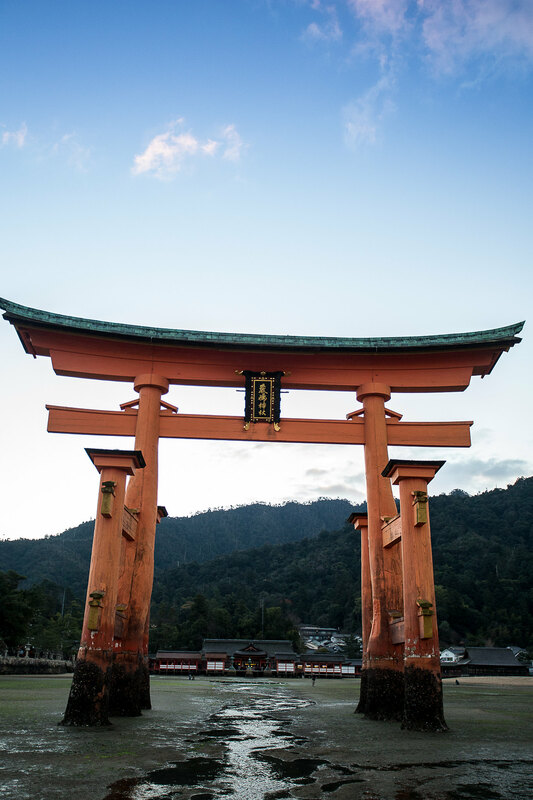 The giant torii itself was very crowded with throng of people trying to get the best picture of the scenery, and it was near impossible to get a clean shot. 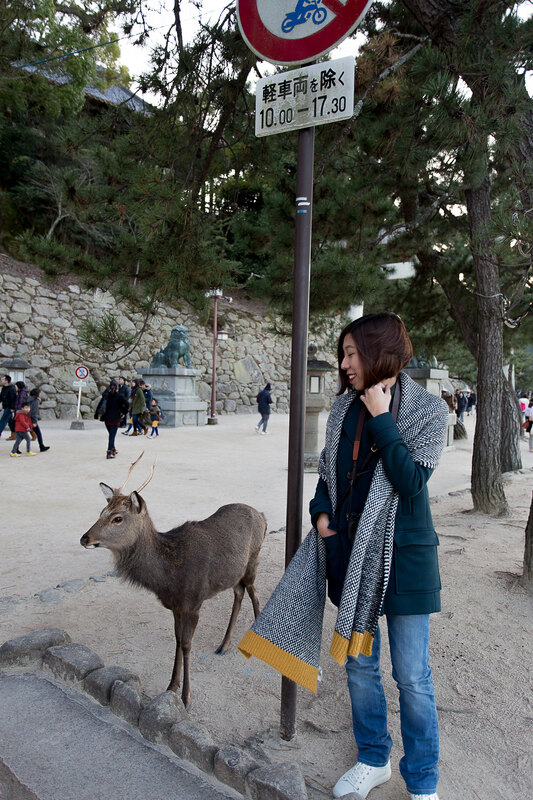 It was worsen by the short day-time of winter and we didn't get the best picture at this moment. 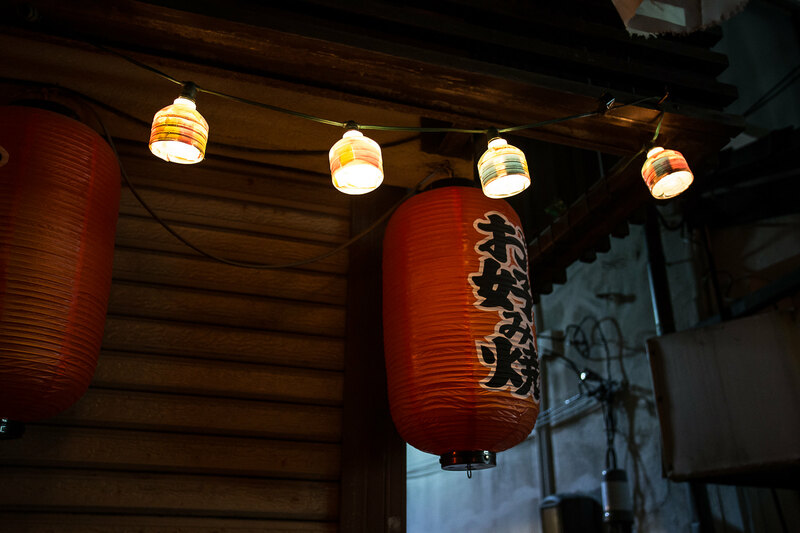 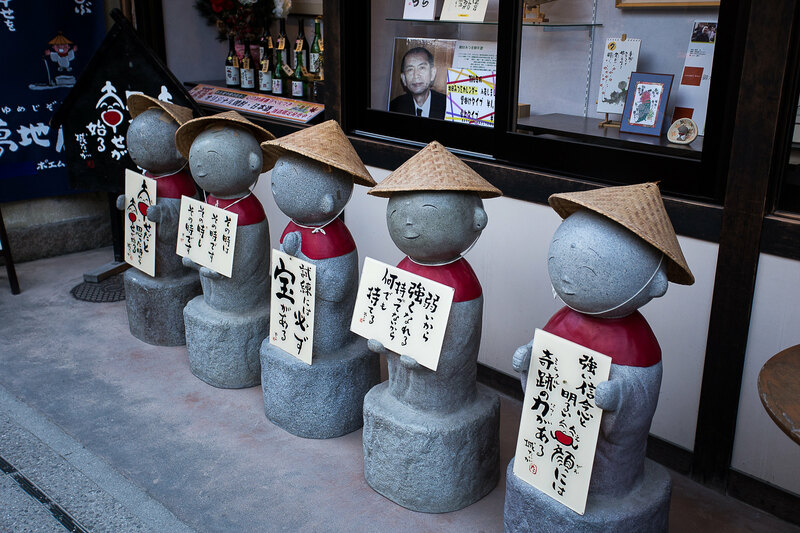 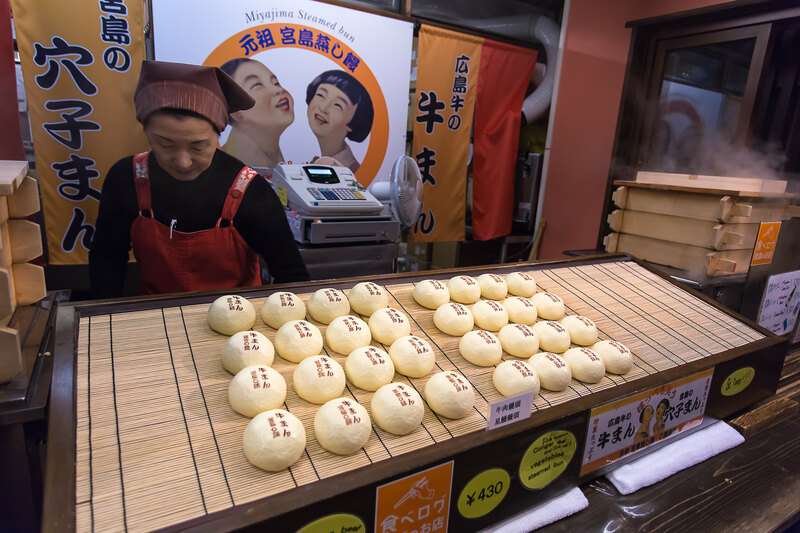 Instead of staying too long near the torii, just have a stroll in the alley, where you can find a lot of local delicacies, such as the beef bun, and the momiji cake. 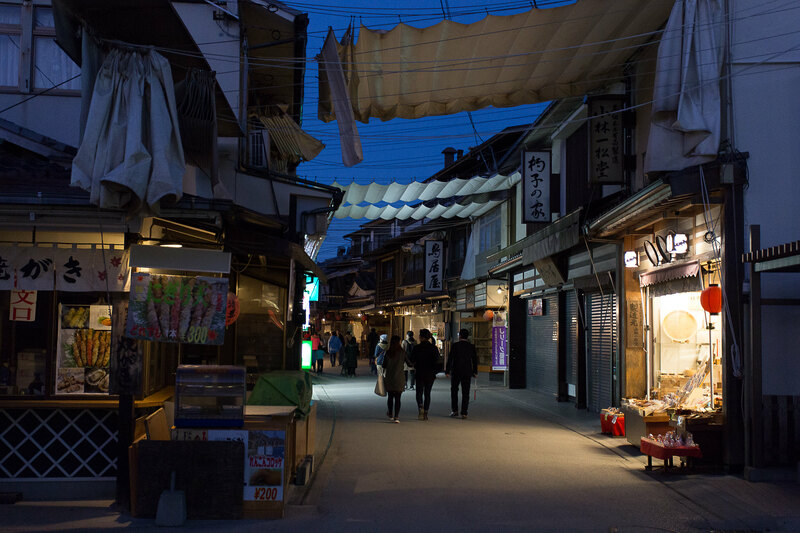 We spent most of our evening in this alley, before getting our dinner in a local okonomiyaki store further down in the village, which that night, only served us and another local couple. 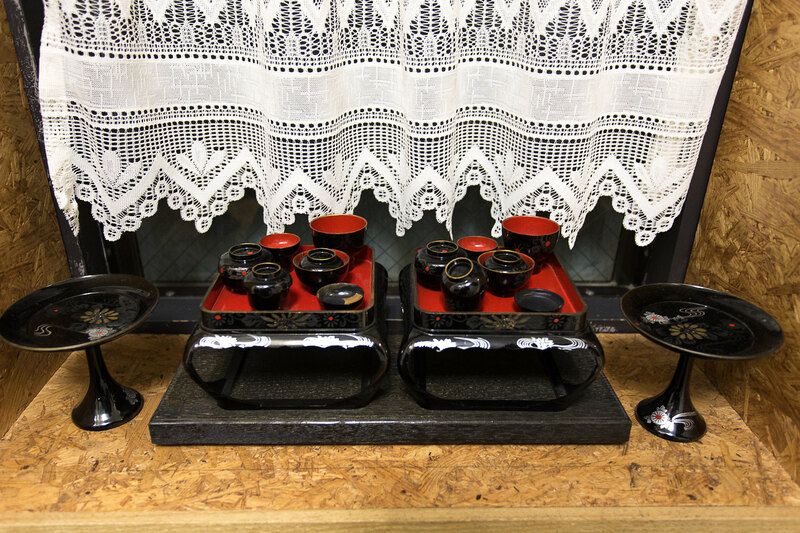 The food was great, and she cooked the okonomiyaki in front of us. 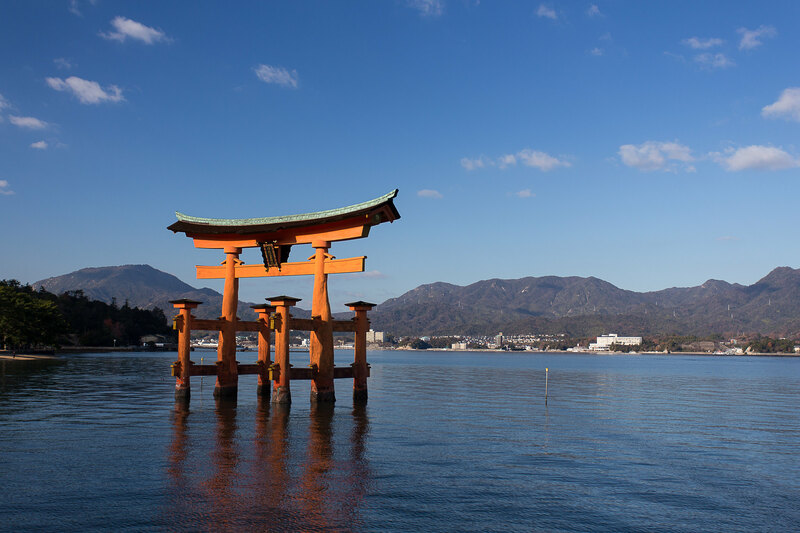 We returned in the morning for the torii, well before the first ferry arrived on the island, and we got much better view. 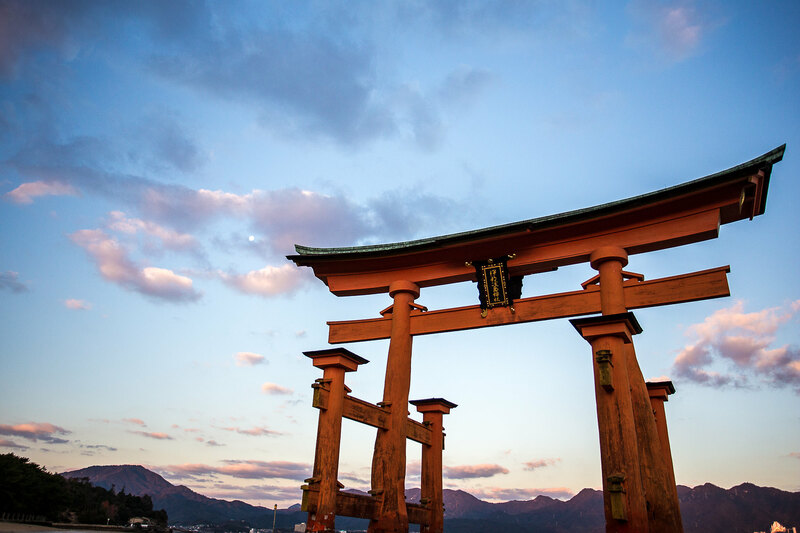 The golden hour definitely helped the vibrancy of the colour. 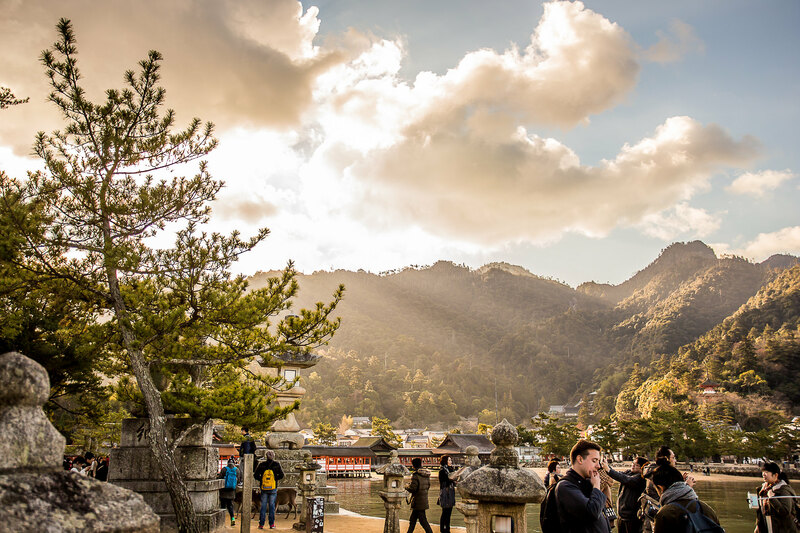 If we have more time, we would love to go hiking on mount Misen, but it has to wait for other opportunity in the future.